My friends Phil and Su have lost their parakeet! They’re naturally very worried. 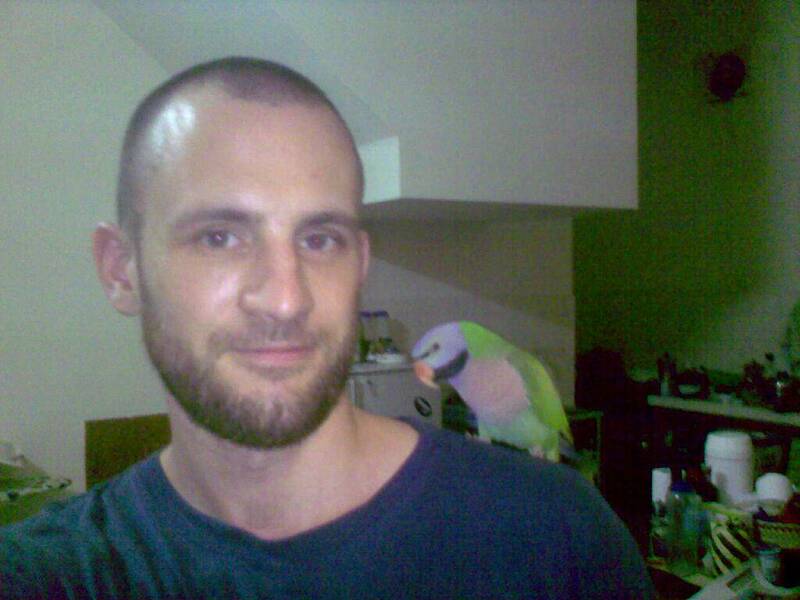 The bird went missing from a home on Street 350 in BKK2, Phnom Penh, on the morning of December 18th. 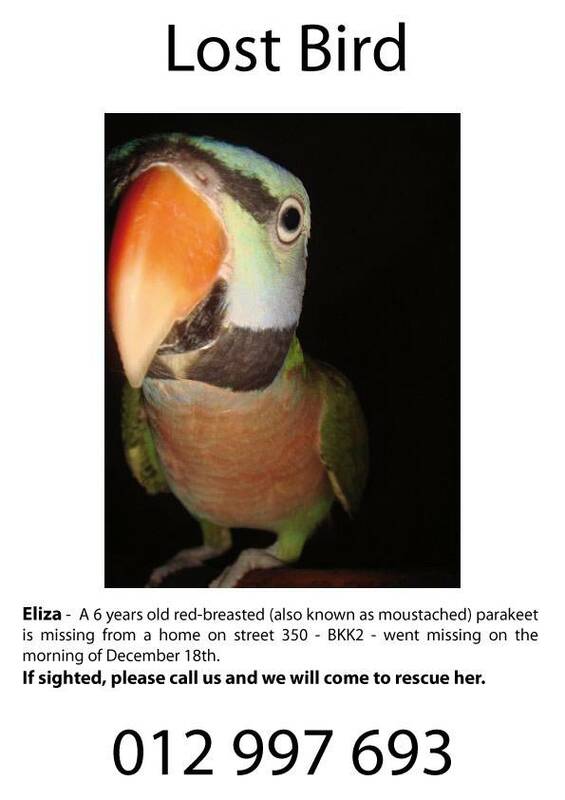 If you happen to see it, or hear about someone finding a parakeet please contact 012 997 693. Eliza is an awesome little bird, who can be frequently found to say “Smelly” as you walk past her. She likes to dance as well.